The day before, hull and halve the strawberries. 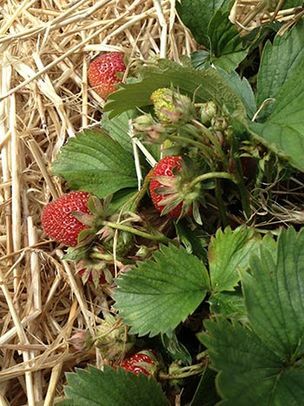 Check for soft or dark spots (remove) and discard bruised or overripe berries. Place the strawberries into a large bowl with 500g/18oz of the sugar. Turn carefully to mix and coat well, then cover with cling film and leave in the fridge overnight. The next day, place a saucer into the freezer to chill—you'll need this later. To sterilise the jam jars, wash them in soapy water and rinse in clean warm water. Allow them to drip-dry, upside down, on a rack in the oven set to 140C/275F/Gas 1. Leave them there for at least half an hour while you make the jam. Pour the strawberries, and any residual sugary juices into a very large pan or preserving pan, remembering that the mixture will rise as it boils. Add the remaining 500g/18oz sugar and the lemon juice. Bring to the boil, then boil hard until the jam reaches setting point. ​If the jam surface wrinkles then it has reached setting point and is ready. If it slides about as a liquid, then it hasn't set and should be returned to the heat and boiled for a few more minutes before testing again. Check the setting point every ten minutes, although it may take up to half an hour to reach setting point. 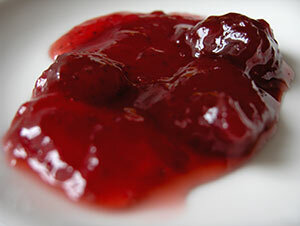 Bear in mind that strawberry jam can be runny, and delicious for it. Better that than over boiled. For another version of this recipe and other jammy tips take a look at the Women's Institute website.